You are here: Home / Blog / All Articles / How Dermarolling Improved Flap and Graft Survival? 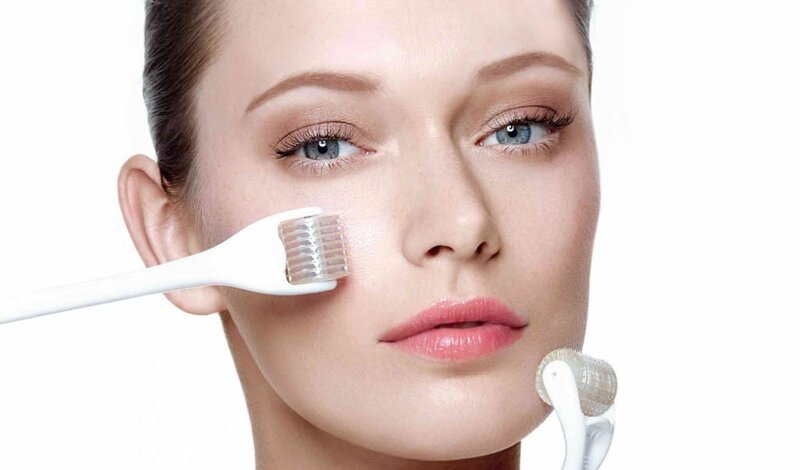 Skin needling is used commonly for cosmetic rejuvenation and for treating acne scars. However, it is also provides tremendous benefit in treating burn scars, varicella scars, acne, keloid, periorbital melanosis, alopecia, and enhanced transdermal delivery of topical products. Another interesting application of dermarolling therapy is that is has proven to be effective in flap and graft survival. In this article, you will get more information on how it is being done and why is it effective in managing this condition? It is also important to note that the side effects noted on skin needling were self-limited and mild. There are few reports of post-inflammatory hyperpigmentation. There are also isolated reports of facial allergic granuloma, systemic hypersensitivity and tram tacking. Overall, dermarolling presents a cost-effective, efficacious and safe treatment option for wide array of dermatologic conditions suited for a variety of skin type. The increasing potential of this treatment option also demands more randomized, double-blinded and controlled trials to make a more definitive conclusion. Let’s define first what is dermarolling? Dermarolling therapy is used interchangeably with the following terms such as microneedling or percutaneous collagen induction therapy. This procedure was introduced in the 1990’s as treatment for skin laxity, striae and scars. It works by gliding or rolling a needling device across the skin. Thousands of vertical channels cause an injury that triggers neocollagenesis and scar less healing cascade. With the absence of chromophore target or heat, dermarolling offers an excellent safety profile for all skin types. What about skin graft and flap? What is it all about? Skin grafting is a kind of graft surgery which involves the transplantation of the skin. Skin graft refers to the transplanted tissue. 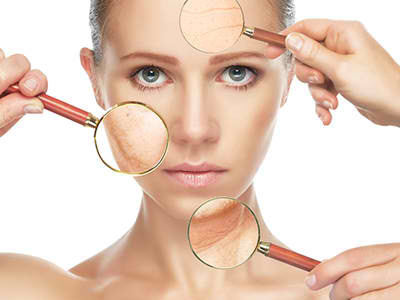 It is also a piece of healthy skin that are removed from certain part of your body to repair missing or damage skin somewhere else in the body. Skin graft does not have its own source of blood flow. There are two kinds of skin grafts the autologous and the allograft. Autologous skin graft refers to the transferring of the skin from one part of the body to another. Allograft on the other hand, transfers the skin from another person. Sometimes it comes from a cadaver or dead person. Typically, scientist takes cells in the epidermal layer of the skin and then let it grow into large sheets of cells found in the laboratory. A skin flap is a healthy tissue or skin that is partly detached and then moved to cover a nearby wound. It may contain skin, fat and muscle or skin and fat only. More often, a skin flap is still attached to the original site at one end so it remains connected to its blood vessel. There are also times when a flap is moved to a new site with its blood vessels which is surgically reconnected. This is called free flap. The donor site is the area where the skin is taken. After having surgery, you may have two wounds, the flap or graft itself and the donor site. If you had undergone skin graft and flap surgery, you should learn how to take care of the skin grafts and flaps to help them heal quickly and reduce the scarring. Why skin grafts are performed? Skin grafts and flaps are used to help more serious wounds to heal. Wounds that are too big to heal on its own, burn wound, surgery for skin cancer, and skin loss from serious skin infection, after undergoing amputation or mastectomy, pressure ulcers, diabetic ulcers or venous ulcers that do not heal – are some of the serious skin condition that may benefit with skin graft and flap surgery. So, how does dermarolling improves flap and graft survival? Using a random pattern skin flap, necrosis or death of the cells or tissues of the distal flap occur as a result of poor or inadequate blood flow. 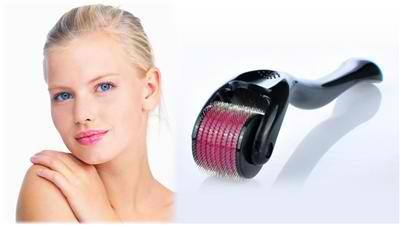 Microneedling uses hand held roller device and is being used as a treatment modality for facial rejuvenation. Interestingly, the procedure has been used to increase flap viability. In an animal study, forty adult Sprague-Dawley male rats were divided into two groups with 20 animals each. The study group was exposed to repositioning and McFarlane flap elevation. The skin needling procedure was done four times, 3 days before, on the day of the surgery and on the third and sixth days after surgery. Only the control group was exposed to surgery. The skin flap necrosis area was assessed and measured on the seventh post operative day by using scintigraphy and digital imaging topographically. After dertermining the necrotic area, the number of vascular structures and neovascularisation within the papillary dermal layer were accounted for histopathologically. The flap necrosis was compared in the two groups and it showed that the study group has significantly lower values than the other group. In conclusion, the study showed that skin needling procedure when applied directly on the flap could offer a safer, more effective and faster therapy to increase the viability of skin flap. Skin needling is a relatively new treatment modality. The increasing popularity of the procedure has open doors for the possibilities of using the procedure in other cosmetic condition. Use of microneedling for skin graft and flap is relatively new. Since this is experimental and investigational, more clinical studies are needed to confirm its efficacy. Nevertheless, the experimental trials showed positive results. More so, skin needling is a very affordable with minimal downtime. If microneedling offers faster recovery time, then it is a good option for people who had undergone skin graft and flap surgery. Hopefully, in the next few years, we will see more evidence based studies that would confirm the efficacy of microneedling in the faster healing and recovery of skin graft and flap wounds. Baris R1, Kankaya Y, Ozer K, Kocer RG, Bektas CI, Karatas A, Kocer U, Koca G, Astarci HM. (2013). The effect of microneedling with a roller device on the viability of random skin flaps in rats. Plastic Reconstruction Surgery , 1024-34. Bonati LM, Epstein GK, Strugar TL. (2017). Microneedling in All Skin Types: A Review. J Drugs Dermatol. , 308-313. Dermarolling Therapy for Asian Skin: A Low Cost Yet Effective Treatment you Should Never Miss! Is Dermarolling Safe? Effects of Derma Roller’s From A Doctor’s Point of View Dermarolling Therapy as Pre-treatment to Accelerate Skin Recovery Plus Common Protocols that Every Patient Should Consider Can Dermarolling Relieve Periorbital Melanosis? Is Dermarolling Therapy a Good Treatment Option? https://www.dermarollershop.com/wp-content/uploads/food-and-dermarolling.jpg 225 400 Dr Dermaroller https://www.dermarollershop.com/wp-content/uploads/derma.png Dr Dermaroller2018-01-15 16:28:362018-01-15 16:30:49How Dermarolling Improved Flap and Graft Survival?